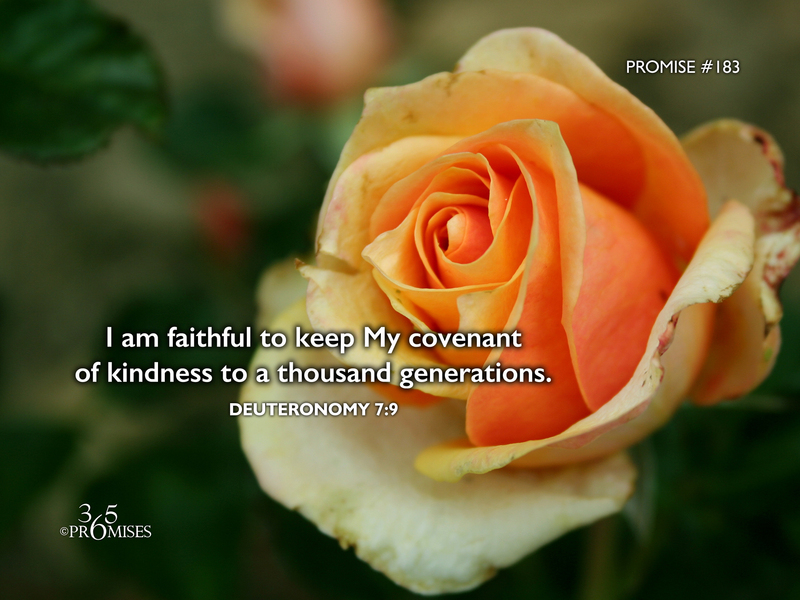 I am faithful to keep My covenant of kindness to a thousand generations. How long is a generation? Some say 40 years, others say 100 years. Whatever the number, multiply it by one thousand! Our God and Father promises to be faithful to His kids to a thousand generations! This promise encourages us to know that our God is faithful and that He will always keep his covenant of love and mercy...always! Often the root of my struggles and anxieties are based on my difficulty to really believe this promise. Of course I know that God is faithful and that He is kind and merciful. But I believe that the understanding that I have of this promise has not fully possessed all my senses yet. If it did, I would never be anxious and I would never worry. If you can identify with my own struggles, I want to encourage you. I believe that we are all on a journey of trust where God is convincing us more and more each day that He truly is trustworthy. I have heard this statement before, though I do not know its source... 'The longest journey that a person can make is the 18" journey from their head to their heart'. I believe that we are being convinced more and more that God is faithful and merciful and kind, and that He keeps His covenant of kindness to a thousand generations. The more we believe this promise to be true, the more we will yield to His love in our hearts and rest in His goodness. My prayer is that today, as you read this promise, that it will become very real to you. I pray that you will know deep in your heart that your God and Father is faithful to keep His covenant of kindness to you for one thousand generations!